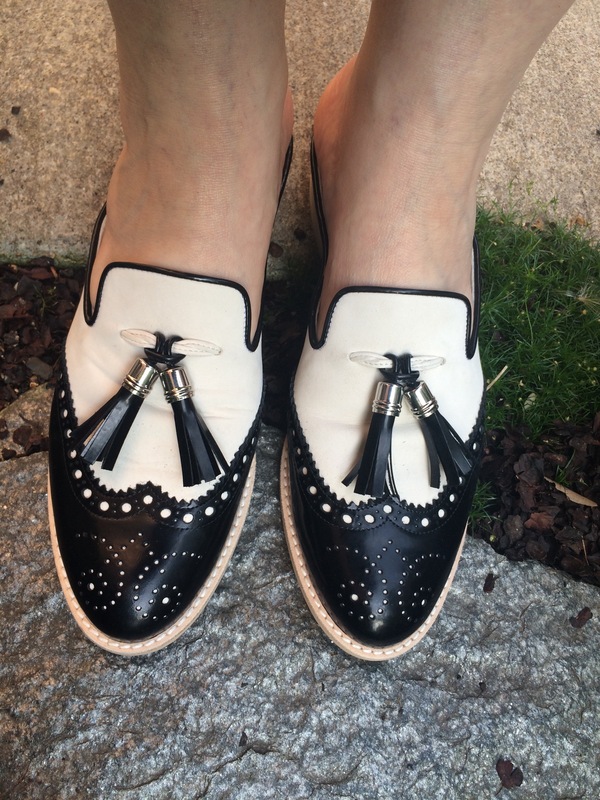 July | 2016 | Footwear Fashionista … a sneak peek into my shoe closet! What if you could have an uber-chic, iconic “IT” look, at a fraction of the price? The original Gucci “Princetown” fur loafer, uses dyed kangaroo fur and has the iconic horse bit hardware. The Jeffrey Campbell “Apfel” does not. But hey, what do you expect at a fraction of the price? The Apfel is a stylish, laid back interpretation of a fashionista “IT” shoe. Sure there are some sites that do a good job knocking off designer looks (shopjessicabuurman.com … check out the Leana basic slipper and tell me that isn’t a Gucci slipper in disguise). The site actually offered a faux fur lined shoe, but the look quickly sold out, so I bought Jeffrey Campbell’s version. Although the shoe has no heel in my opinion, 1/2″, the faux-fur lining is plush, the mule is comfortable and the polished chain-link detail is nice. It’s a vintage look that is fun yet sophisticated, stylish and on-trend with the menswear look. I stumbled across these …. on sale (yay! ), and am now obsessed with loafers and mules, which just so happen to be this season’s must-have style. 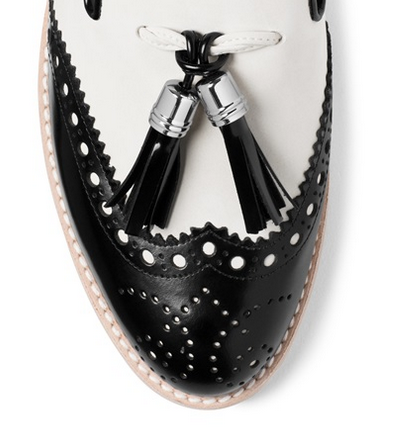 “Mulething”, a backless loafer from Stuart Weitzman, is a two-toned spectacular spectator. A menswear-inspired look that is classy and sassy, casual and fun. 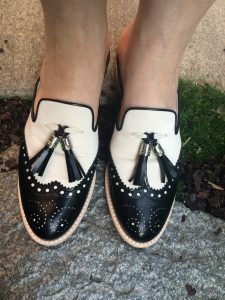 The off-white suede leather adds a preppy contrast to the slightly lustered black leather, complete with broguing, tassels and 1.5″heel. They work well with boyfriend jeans and can jazz up your trousers too.